This type of reactor allows the most concentrated growth of active bacterial colonies and can therefore accommodate the highest loading. The reactor can be made of either steel or plastic. Anti-corrosion protection and thermal insulation are usually required. 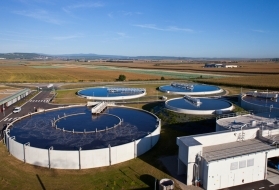 In order to ensure a good fluidisation of the medium, a velocity of 5 to 10 m · h–1 must be maintained; the process usually requiring effluent recycling. 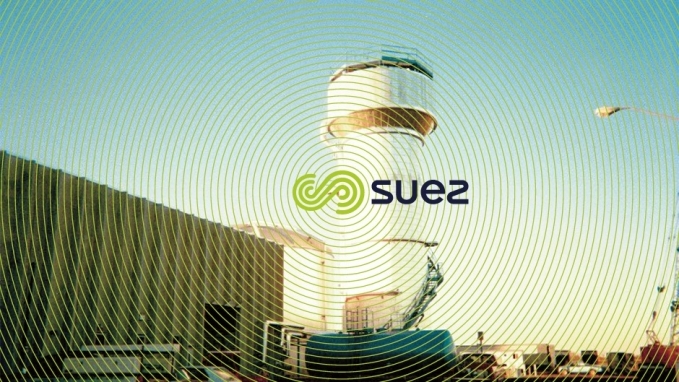 The mixture is evenly distributed throughout the reactor; a three-phase separator located in the upper section of the reactor is used to release gas and to recover and recycle any entrained biolite (carried by biogas bubbles attached to the film). Gradual colonisation of the material can induce excessive segregation, with the consequence of carry-over of light material out of the fluid bed layer. 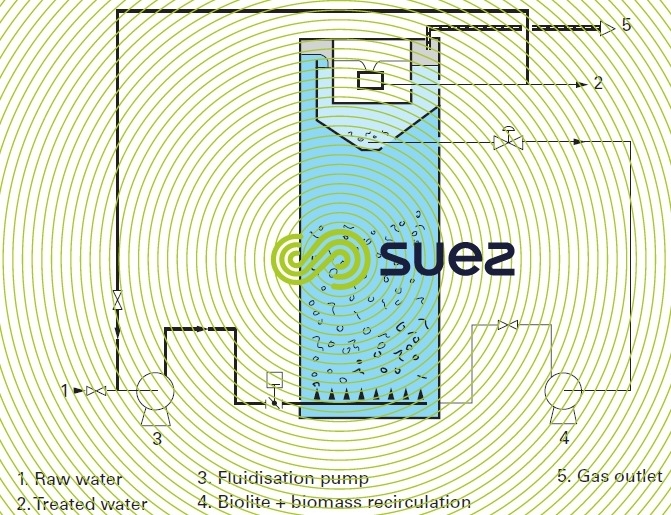 Excess sludge is detached from part of the medium in a high turbulence chamber, enabling the excess biomass to be removed with the treated water. The high bed loadings applied to the system (30 to 60 kg of COD per m³ of blanket, subject to a 30% bed expansion) result in relatively short retention times (a few hours), with consequence that preliminary acidification is necessary in most cases. accommodation to high flow rate fluctuations. Depending on the nature of the effluent, water purification efficiency varies from 70 to 85% for COD and from 75 to 90% for BOD5. The Anaflux is suitable for effluents having a COD of 2 g · L–1 or higher i.e. effluents from food industries (breweries, soft drinks, yeast factories, canneries, starch mills, distilleries, dairies,…) or paper industries (paper mills, evaporation condensates,…).